This new and exciting Gorjuss collection from Docrafts features new additional characters and beauti..
Gorjuss returns with this beautiful In The Garden themed collection. These NEW Gorjuss Dies are made..
Gorjuss returns with this stunning Postal collection. 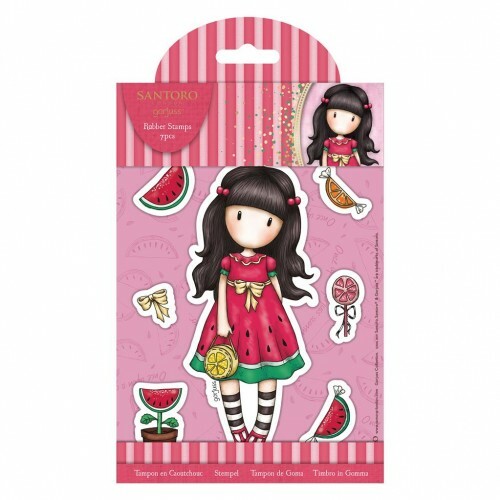 These NEW Santoro's Gorjuss Dies are made from..
Xcut boasts a comprehensive range of designer dies. Our dies are made from the highest grade carboni.. Exclusively from Docrafts, Gorjuss returns with this stunning Postal collection. Bursting with new G.. Exclusively from Docrafts, Gorjuss returns with this beautiful In The Garden themed collection. Pret.. Exclusively from Docrafts, Gorjuss returns with this beautiful In The Garden themed collection. Thes.. Exclusively from Docrafts, Gorjuss returns with this stunning Vintage Rose collection. Bursting with.. Exclusively from Docrafts, Gorjuss returns with this stunning Vintage Rose collection. Bursting wit..
"Discover Santoro's Gorjuss in a whole new setting with the Gorjuss Christmas collection. For the fi.. Discover Santoro's Gorjuss in a whole new setting with the Gorjuss Christmas collection. For the fir.. Exclusive to West Design, Gorjuss returns with an autumnal range to continue this year's In The Gard..